With China's stance towards video game consoles unlikely to change anytime soon Nintendo's newest home console due out later this year, the 3DS XL, will probably not see the People's Republic officially this year, but that doesn't mean Chinese consumers will be completely left out. Announced only a week after Nintendo officially announced the 3DS XL, unknown Chinese company Jin Xing has announced a handheld system of their own, the JXD S5100. You might be wondering what the JXD S5100 has to do with the 3DS XL. Currently there is no word on when the system will be available but the preliminary specs are out. The JXD S5100 will carry and ARM A9 with built in 512mb of rom space, a Power VR GPU, a 5 inch 800x480 resolution screen, 4GB of flash memory, and HDMI out capabilities. The whole thing runs on Android 2.3.4 and will cost about $75. Since the JXD lacks a second screen and 3D capabilities it seems odd that Jin Xing is marketing it as a pmp that can compete with the 3DS XL, in fact it looks more like the controller for the WiiU than a 3DS. 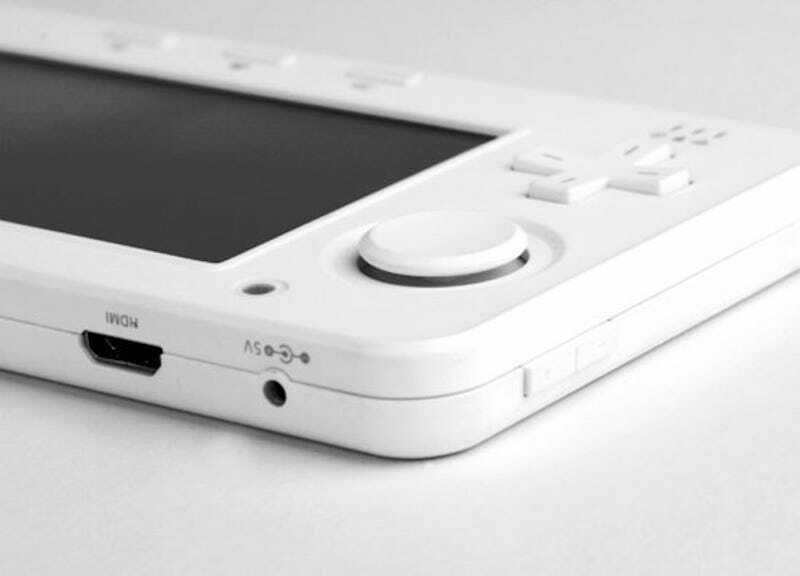 Nintendo's regular sized 3DS has yet to see release in China even under the iQue branding.